Vintage seasonal high top chucks. 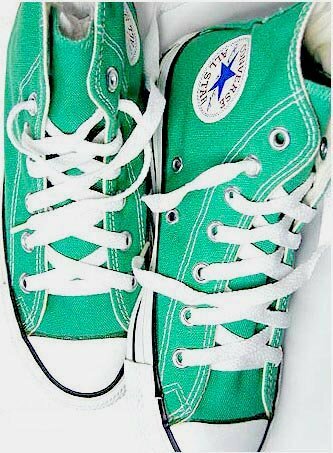 1 Green HIgh Top Chucks Kelly green high tops, top view. 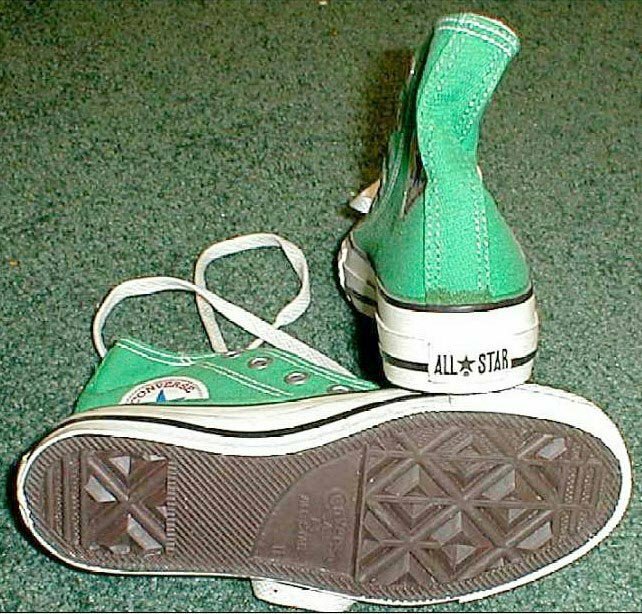 2 Green HIgh Top Chucks Kelly green high tops, angled front view. 3 Green HIgh Top Chucks Kelly green high tops, angled side view. 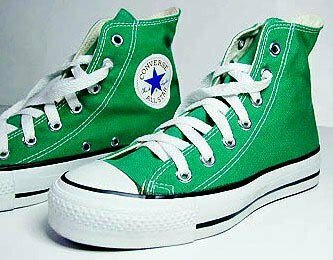 4 Green HIgh Top Chucks New Kelly green high tops, side patch views. 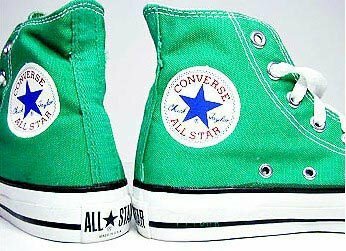 5 Green HIgh Top Chucks Kelly green high tops, inside patch views. 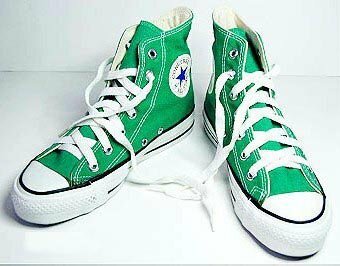 6 Green HIgh Top Chucks Kelly green high tops, sole and rear views. 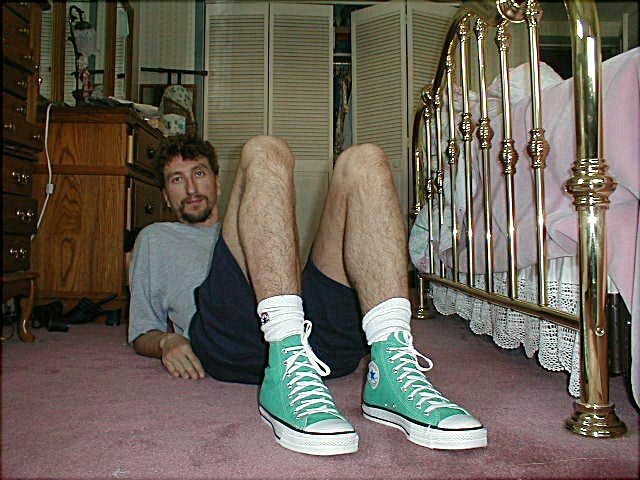 7 Kelly Green HIgh Top Chucks Guy wearing Kelly green high top chucks. 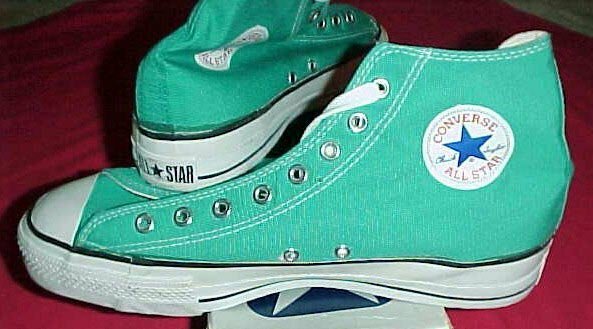 8 Green HIgh Top Chucks New Kelly green high tops with box, side and rear views. 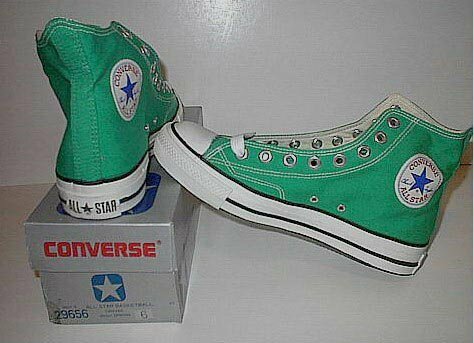 9 Green HIgh Top Chucks New Kelly green high tops with box, inside patch and rear views. 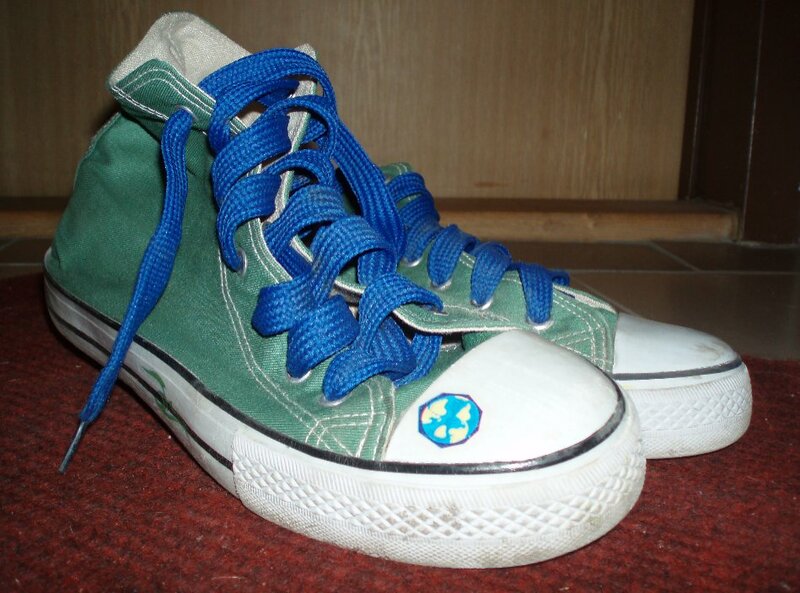 10 Kelly green high tops with wide royal blue laces. 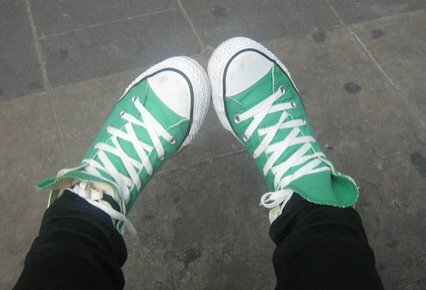 11 Young brothers wearing Kelly green high tops. 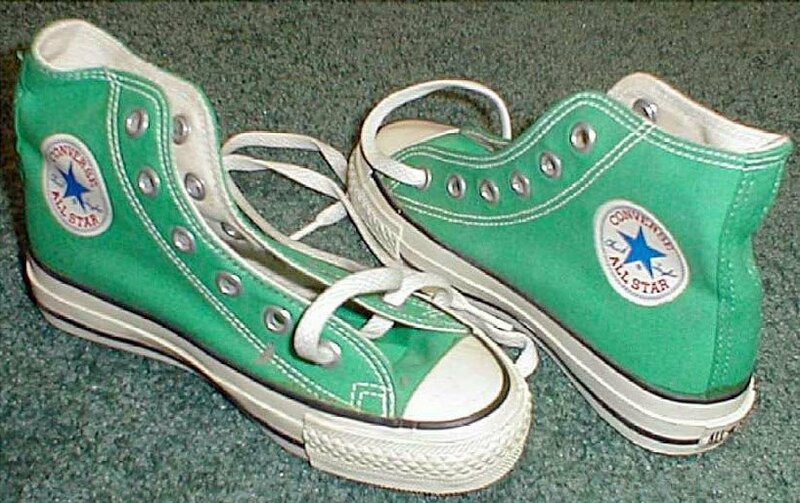 12 Wearing Kelly green high top chucks. A vintage seasonal model made in the last century.